Teams from 5-13 years of age. 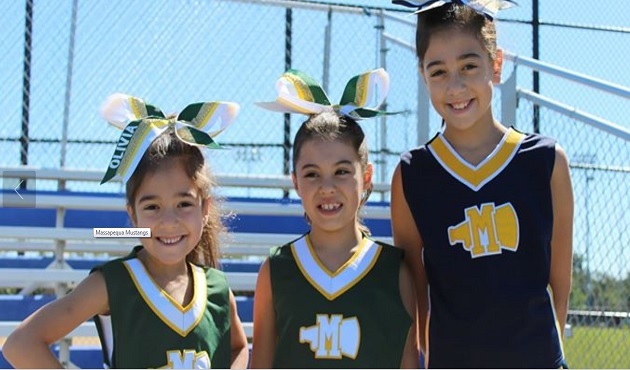 REGISTRATION FOR FALL YOUTH CHEERLEADING AND YOUTH FOOTBALL IS OPEN! Mustangs Seniors finish perfect season 10-0 with win over West Hempstead! Mustangs defeat RVC 21-13 in semi-final showdown at Burns Park. Mustangs 10 Year old travel- Putting in the work. * Army completes undefeated season! * Army, NYPD and NYFD to attend the Awards Banquet. I am a member of a team, and I rely on my team. The name on the FRONT of my jersey means more to me than the name on the back. I defer to it and I sacrifice for it, because the team, not the individual, is the ultimate champion. I will go through hell and high water for and with my squad!! See our Training Room page for complete details! 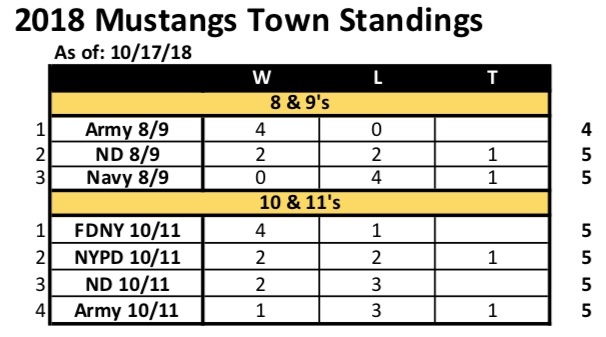 Our in-house full equipment Flag (ages 5/6) and Town programs (Tackle for age 7-13) are the heart of the Mustangs organization, and are big differentiators between our town and others. 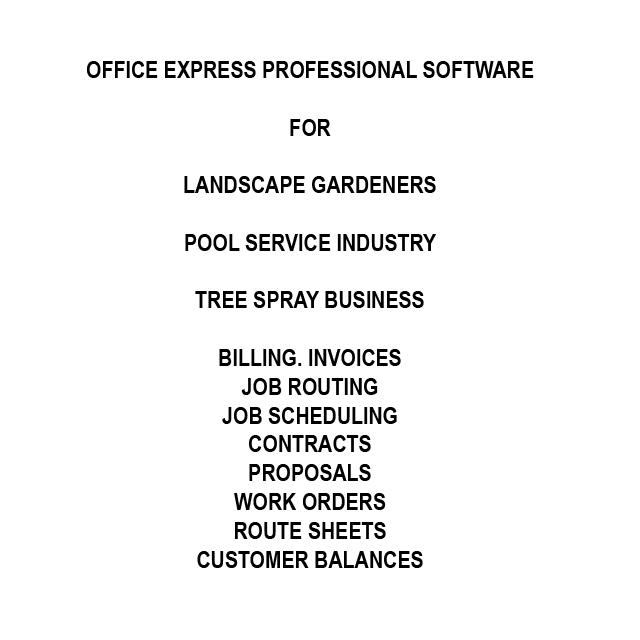 Most towns do not have a Town program at all. We typically have more kids in Town than we do in Travel. 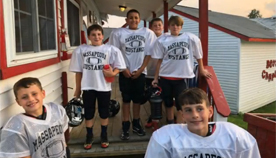 It is our goal every year to have as many kids participate in the Fall football season as possible. We would love to have Town teams at all levels (Ages 5-13), in addition to our Travel teams from ages 7+. This is only possible if we have enough players registered. Once we see our numbers, we can make the best decisions on how to group the ages for Town. Please help us by registering as early as you can. Don't wait! If you are not certain if your child wants to play in the Fall, we would invite you to register, and participate some of our free workouts and summer evaluations. If we are unable to offer a suitable option at your child's age group, we will issue a refund. 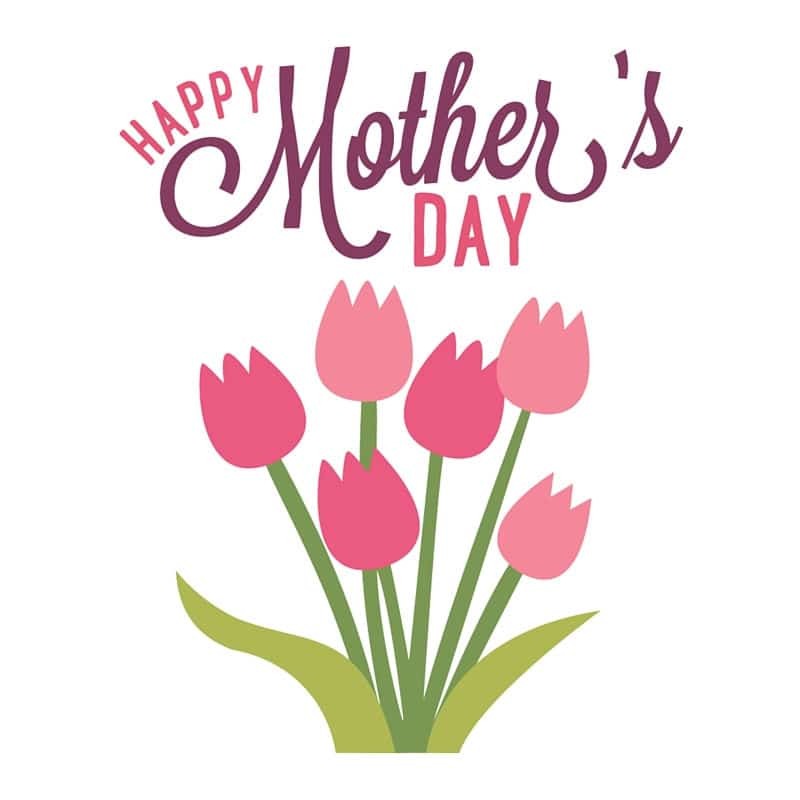 From the entire Mustang Family! 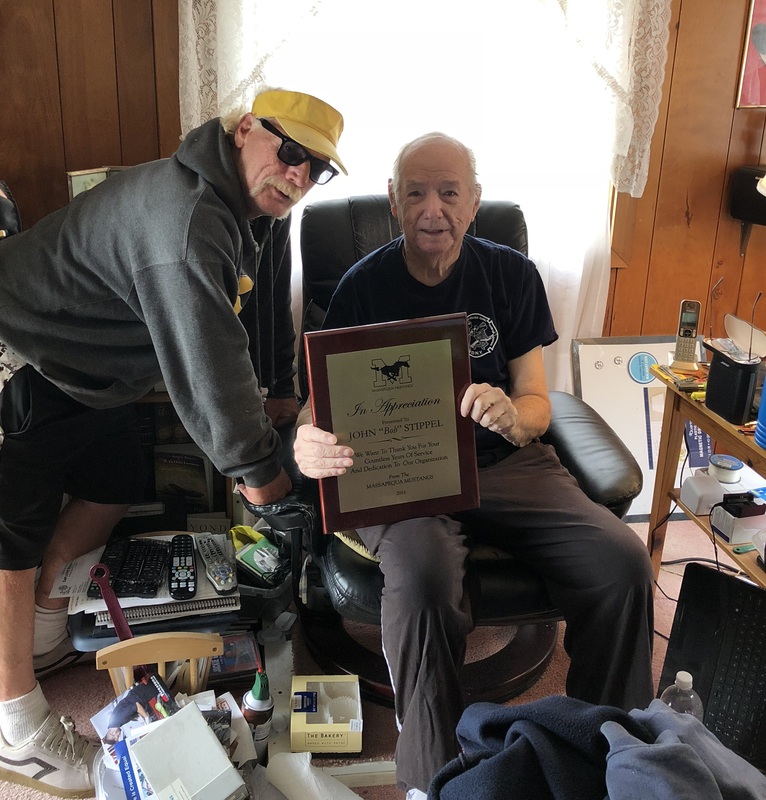 Presented in honor of the late Thomas Hession, another one of the Massapequa Mustangs original coaches form 1958 and leading contributor in the program's success. This award is given to the outstanding "Athlete" and "Team Leader", who has excelled over the past three seasons as a Massapequa Mustangs Travel player. Presented in honor of the late John Burke, another one of the Massapequa Mustangs original coaches from 1958 and leading contributor in the program"s success. This award is given to the outstanding "Lineman" and "Team Leader" who has excelled over the past three seasons as a Massapequa Mustangs Travel Player. Presented to a graduating high school senior, who has excelled on the gridiron, from Mustangs through high school varsity. This award is given first for football achievements and then for academic achievement. Presented in honor of the late William H. Brown (Bill) one of the founders of the Massapequa Mustangs and person responsible for turning 52 acres of land into what is known today as John J Burns Park. This award is given to the player that has excelled over the past three seasons as a Massapequa Mustangs Travel player and was a "Team Leader" on "Offense and Defense". Presented in honor of the late Bob Lane, who gave over 25 years of unconditional support to the youth of Massapequa, through football and lacrosse. 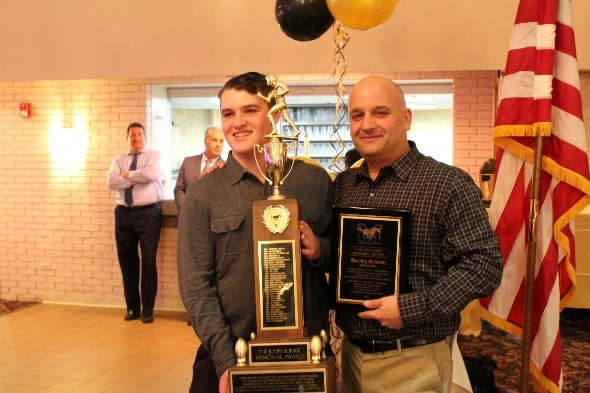 This unsung hero award is given to the player whose performance over the past three seasons as a Massapequa Mustangs Travel player may have been unnoticed by everyone, except the team and his coaches. Presented in honor of the late Bill Racaniello, who gave over 30 years of unconditional support to the youth of Massapequa. This award is given to the player who exemplifies the qualities of perseverance, sportsmanship & dedication, on and off the field. 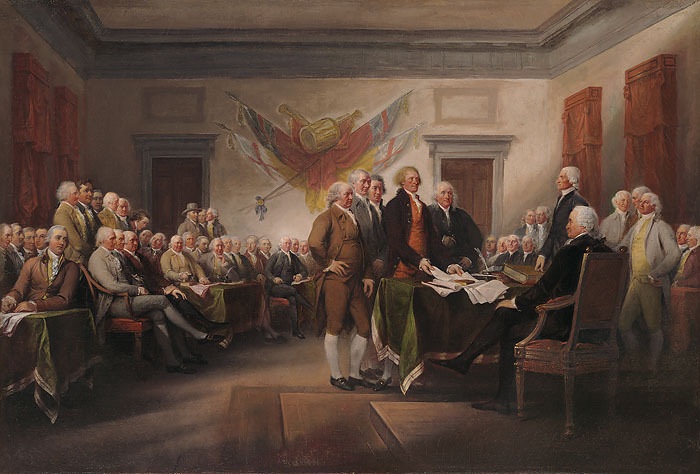 Presented in honor of the late Supreme Court Justice, Joseph J. Saladino. This award is given to the most "Dedicated Athlete". Presented in honor of the late Philip Healy, who served as NYS Assemblyman. This award is given to the outstanding citizen and "Defensive" player. Presented in honor of the late Peter Schmitt, who served as Nassau County Legislature. This award is given to the outstanding citizen and "Offensive" player. Presented in honor of John Delemo, one of the Massapequa Mustangs original coaches back in 198 and who served as Captain and Chief of the Massapequa Fire Department. This award is given to the outstanding "Back". Presented by the Senior Coaching Staff to a player on the Massapequa Mustangs Senior Travel Team who has shown commitment and inspiration to all his teammates and coaches, throughout the season. Registration for players for the 2019 season is open... Register today!! Check back for details regarding Cheerleader registration. CONGRATS TO THE MUSTANG 10 YEAR OLD TRAVEL TEAM! 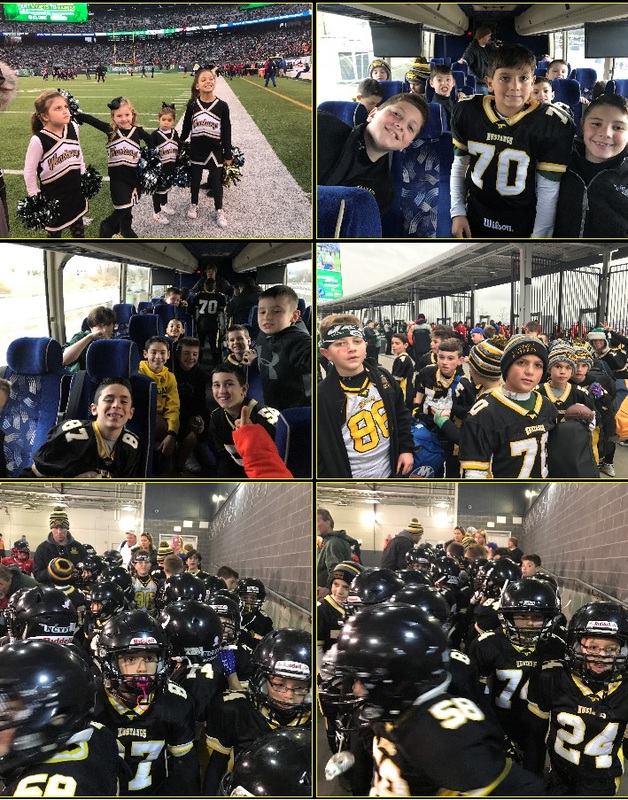 Congratulations to the Mustangs 10 year olds for finishing off their season yesterday at Mitchel field where they competed in the inaugural "2018 Long Island Youth Football Championship" tournament. The tournament pitted the best teams from any and all leagues across Nassau and Suffolk counties against one another. 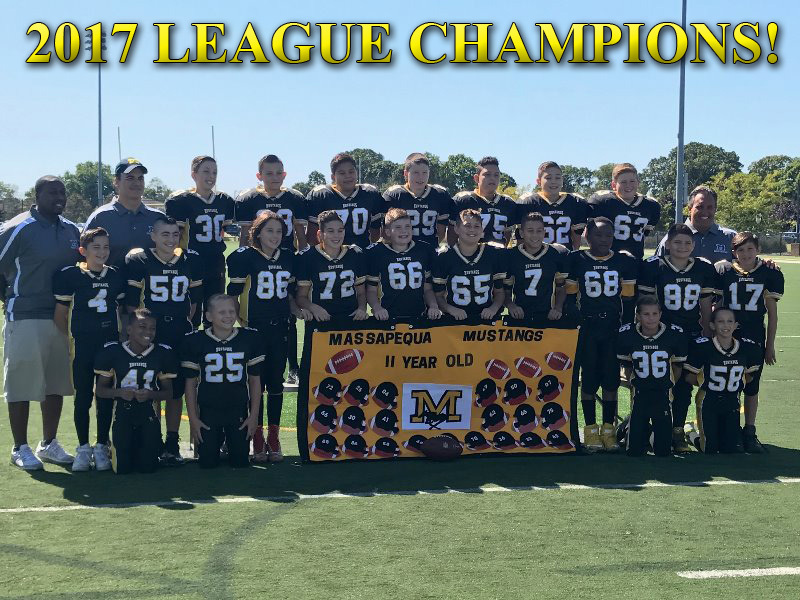 In Game 1 yesterday morning - the Mustangs 10's (this year's Nassau County Youth Football Leagues champs ðŸ�†) faced the Freeport Red Ravens (representing the Nassau/Suffolk Youth Football League). The Mustangs controlled the game from beginning to end, and dominated in a 19-0 shut-out victory!!! In Game 2 yesterday afternoon, the Mustangs 10's faced the Suffolk PAL 10 year old champion East Islip Redmen. The Mustangs fell short in a disappointing 6-0 loss to big and physical team. 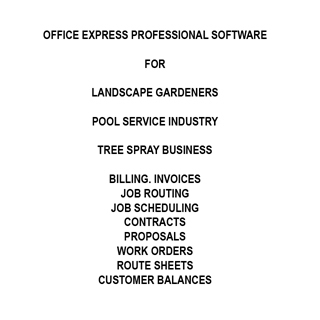 (unlimited weight rosters in Suffolk). The boys fought hard all game against adversity and should be very proud of their effort and accomplishments this season. MUSTANG 10s 0 East Islip 6. MUSTANG 10s 19 Freeport 0. Mustangs defeat Freeport to advance to LI Championship semi-finals. MUSTANG SENIORS 18 West Hempstead 6. MUSTANG SENIOORS FINISH UNDEFEATED (10-0) TO GRAB NASSAU COUNTY CROWN! MUSTANG 10s 18 Farmingdale Hawks 7. 10'S COME FROM BEHIND AT HALF TO WIN NASSAU COUNTY CHAMPIONSHIP! MUSTANG 9s 26 E. Rockaway Raiders 6. 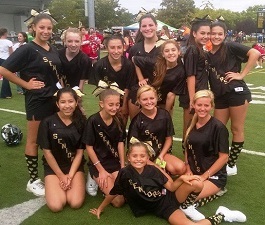 MUSTANG 12s 31 Farmingdale Hawks 0. MUSTANG 11s 14 Uniondale Knights 21. 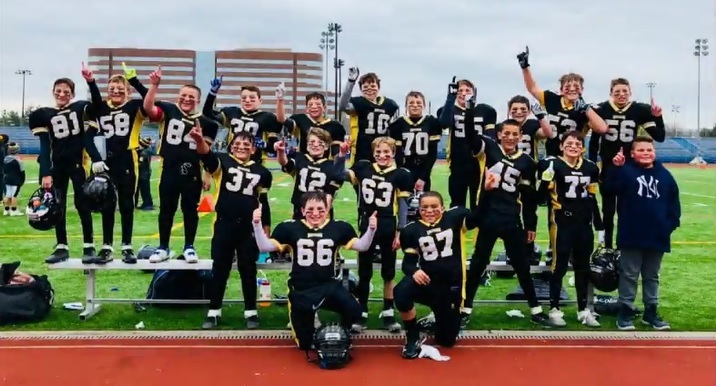 11s lose heartbreaker in overtime. MUSTANG 10s 19 Seaford Broncos 7. 10s play for championship next week. 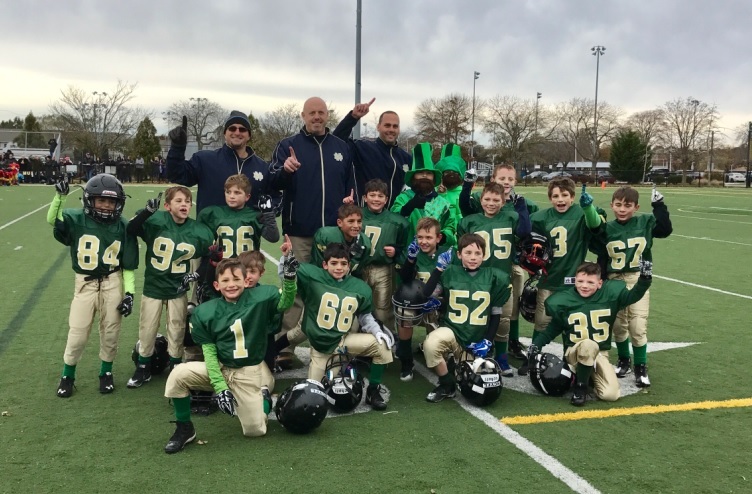 In the 8/9 year old division, Army defeated Notre Dame to cap a perfect undefeated season to take home the League Championship (on top of their Division championship for finishing the regular season as #1). Notre Dame played tough, and continued to show consistent improvement each week through out the season. Both teams should be proud of their efforts. In the 10/11 year old division, #2 seed NYPD knocked off #1 seed FDNY 20-6, in a well-played and hard-fought game. Congratulations to NYPD for winning the league championship, and to FDNY for winning Division by finishing the regular season as #1. Thank you to all the players, cheerleaders and parents for another great season of football. A special thanks to all of the COACHES that volunteered their time this season. 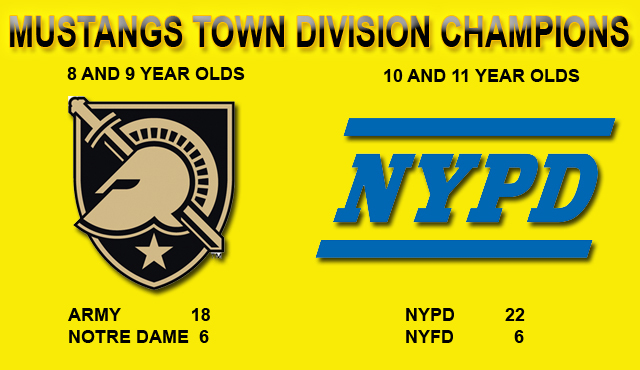 NYPD CAPTURES 10/11 YEAR OLD CHAMPIONSHIP! NYPD defeated NYFD 22-6 to become our 10/11 year old town division champs. ARMY WINS 8/9 YEAR OLD CHAMPIONSHIP! Our 5/6 year-old flag season has come to an end. Trophies for all 5/6 Flag players will be handed out to each team at half-time of the 8/9 Championship game! MUSTANG 12s 23 Levittown Red Devils 6. 12s FINISH REGULAR SEASON UNDEFEATED! Playoffs next week. MUSTANG SENIORS 16 Rockville Centre Titans 6. SENIORS FINISH REGULAR SEASON UNDEFEATED! Now prepare for playoffs in two weeks. MUSTANG 10s 13 Uniondale Knights 0. MUSTANG 12s 26 Rosedale Jets 7. Monday night Flag games are being moved from 7pm to 6:30 pm beginning on Monday 10/1. 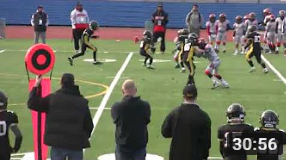 MUSTANG 12s 24 Uniondale Knights 6. 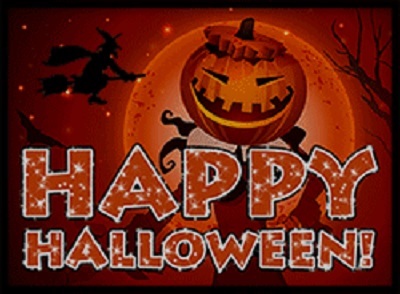 We are still working on rescheduling our picture times, and opening day festivities. Pictures will likely be done over several sessions to accomodate the the football and cheer schedules. Opening day festivities are also being rescheduled and will likely be on an upcoming Saturday late afternoon/early evening. More to come on both. 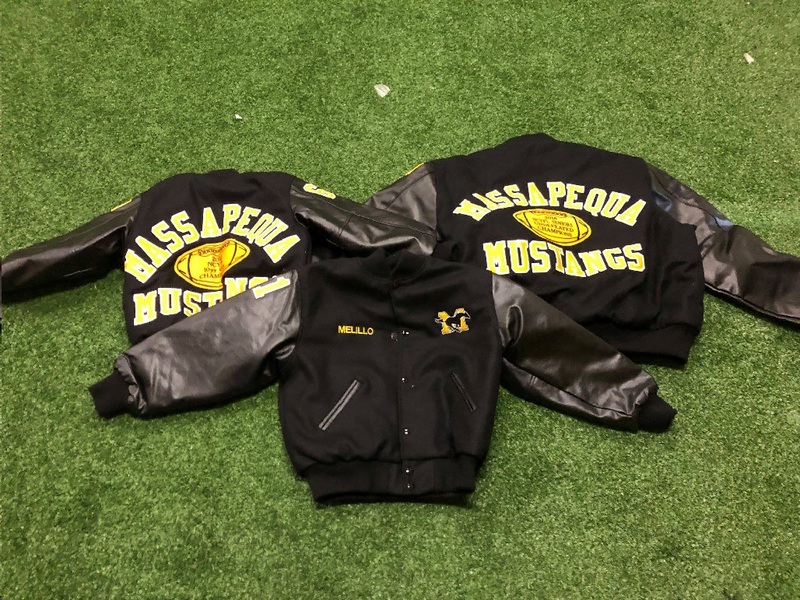 â€¢	All Mustangs Players/Cheerleaders that purchase a ticket will have the chance to represent the Massapequa Mustangs by running out of the Jets Tunnel prior to the start of the game. (50 Players/Cheerleaders to be selected, with first priority given to players that were registered before June 16th.). â€¢	Jets Scarf included with every ticket! â€¢	If you are interested in taking a private/chartered bus to the game with other Mustangs families, please indicate that on the back of your order form (# of adults & children). We will likely coordinate a bus (or buses) to leave from and return to Burns Park if there is sufficient interest. â€¢	You do not have to purchase the parking pass in your initial order. Parking passes, at the reduced rated, can be purchased at a later date closer to game day. Our Flag and Town drafts were completed last week. All players have been contacted by their coaches. Coaches will be coordinating equipment and uniform pick through out the week. Our Picture Day and Opening Day Ceremony is next Saturday, Sept 8th. 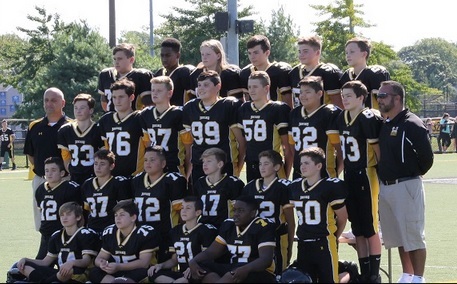 â€¢	Picture Day - from 8:00am - 11:30am (Each Football team and Cheer team will have a 20 minute time-slot - your coach will communicate your teams time slot to you). Opening Day Festivities - please be on the field at NOON for a 12:15 pm start! o	Go directly to the field @ 12:00 PM NOON to line up. Each team will have a designated spot on the field. o	Look for the signs/cones on the field indicate where your team should be lined up and sitting. o	All football players should be in their full game uniform (w/o helmet). o	NO PARENTS on field. Only coaches and cheer moms on the field. o	ALL TEAMS MUST ATTEND. 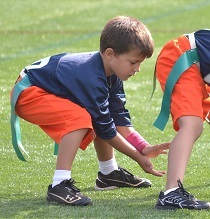 o	The NCYFL will publish game schedules on Weds 9/5. We will not know our game schedules before that time. Sorry. o	Schedules will be communicated by Sept. 9th. â€¢	Picture Day - from 8:00am - 11:30am (Each Football team and Cheer team will have a 20 minutetimeslot). o	Coaches will communicate your times over the next week. â€¢	Opening Day Festivities - please be on the field at NOON for a 12:15 pm start! â€¢	Our 8/9 Town Teams will be Army, Navy and Notre Dame. â€¢	Our 10/11 Town Teams will be FDNY, NYPD, Army and Notre Dame. â€¢	Town coaches are being finalized and the draft is planned for this Thursday. You should be hearing from your Town Coach over the weekend or early next week. For players at the 5/6/7 year old ages - we will continue our Free summer clinics on Monday nights through out August, from 5:30 - 6:30 pm @ Burns Park Gillespie field. Please bring your friends down to check it out - even if they are unsure about signing up. All are welcome. New players are welcome. Players should wear shorts, t-shirts and cleats (or sneakers). 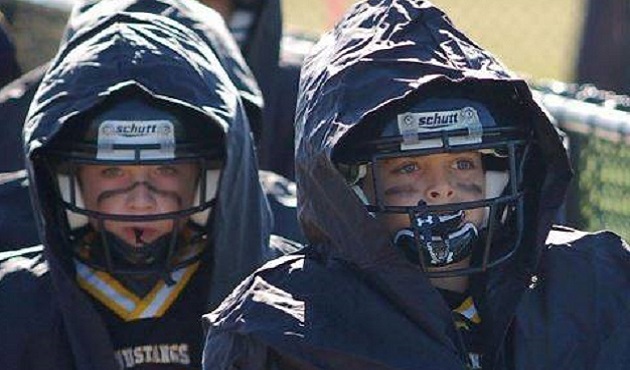 As communicated to the 7 year old parents over the weekend, we will have one (1) 7 Year-old Mustangs team for 2018, and the team will play in the NCYFL. More information will be shared this week for the 7 year old coaches on practices and the like. We will have 5 teams in our Flag division, 3 teams in our 8/9 Town Division and 4 teams in our 10/11 Town Division. 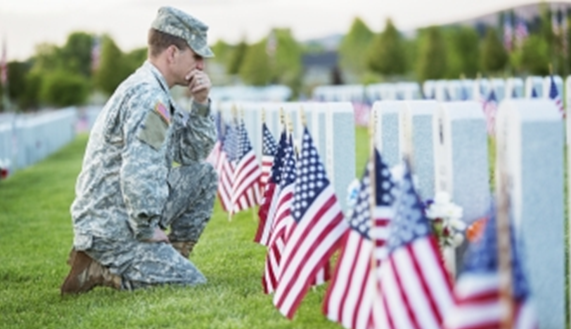 You will receive more information about the Flag and Town drafts the week of 8/20 and 8/27. Travel evaluations for 8-13 are now winding down. You should have been communicated to regarding whether your child will be playing Travel or Town football. (Note: some teams are still finalizing their last few roster spots). All communication for Travel teams will come directly from travel coaches going forward. All registered players (8-13 years old) required to attend at least one (1) evaluation session for their age groups - whether there is interest in playing on the Travel team or not. Players who are not seen, or do not have agreement from the board, will not be placed on any Town team as per instruction by the Board of Directors. Newly registered players will be evaluated as they register - nobody has missed the opportunity to try-out. **(League Age is players age as of 11/30/18). ****After Monday 7/30 and Tues 7/31 evaluations, each Head Coach will communicate the schedule for the rest of the week to the players that will continue with travel practices and/or further evaluations from Weds 8/1 onwards. Evaluations through out July are non-contact, no equipment. Shorts, T-shirts and cleats. Please have the players last name on the back of their shirt (Tape and marker). BRING WATER. All players are encouraged to attend all sessions for their age group. If you still have your gear/uniforms from last season - please make every effort to return this week. Coaches will be at the Burns Park Gillespie Field on Monday night 7/30 from 5:30 - 8:30 pm conducting workouts/evaluations, and will collect your equipment as well. Our registration continues to increase through out July. We can now confirm that we will have Town teams at the 8/9 and 10/11 Divisions, in addition to our Flag 5/6 program. Please encourage your friends to sign up, if they are interested in playing, but are not yet registered! For players at the 5/6/7 year old ages - we will continue our Free summer clinics on Monday nights, this week and through out August, from 5:30 - 6:30 pm @ Burns Park Gillespie field. Please bring your friends down to check it out - even if they are unsure about signing up. All are welcome. New players are welcome. DARREL YOUNG CLINIC AUG 30th! The Darrel Young Clinic will be held Thursday August 30, 6:30p @ Burns Park. We will be making the clinic FREE to all registered Massapequa Mustangs players. If you still have your gear/uniforms from last season - please make every effort to return this week. Coaches will be at the Burns Park Gillespie Field on Monday night 7/16 from 6 - 8:30 pm conducting workouts/evaluations, and will collect your equipment as well. â€¢	8-13 Year Olds - Now that we are into July, we will be moving most of our free training, and travel evaluations, outside onto the turf on Gillespie Field. Due to scheduling conflicts, we are changing the date of the Darrel Young clinic, which was planned for Saturday July 14th. It will now part of the start of the season festivities - and be held in late August - so we can ensure a greater turn out from all of the players signed up for the Fall. More details on exact date and time will be shared shortly. 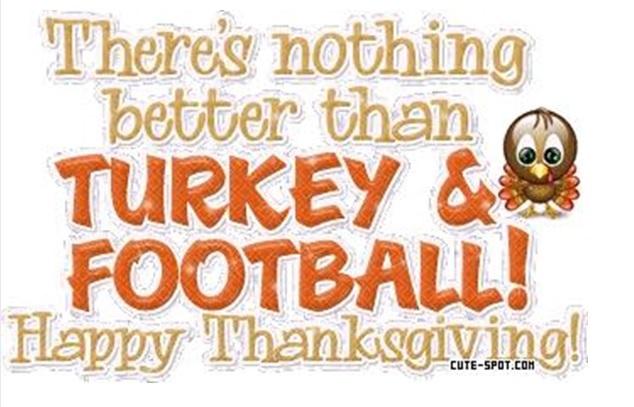 As another Great Year of Mustang Football Approaches, we would like to relay a message to our extended Mustang Family. 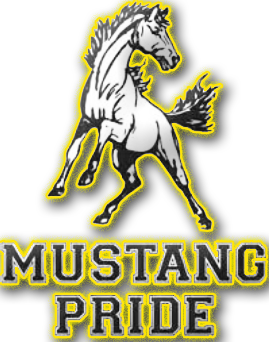 The Mustang organization has thrived for over 50 years by surrounding ourselves with a tremendous volunteer staff. 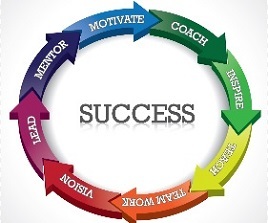 Our transparent and prideful family is always looking for new volunteers in all aspects of the organization. 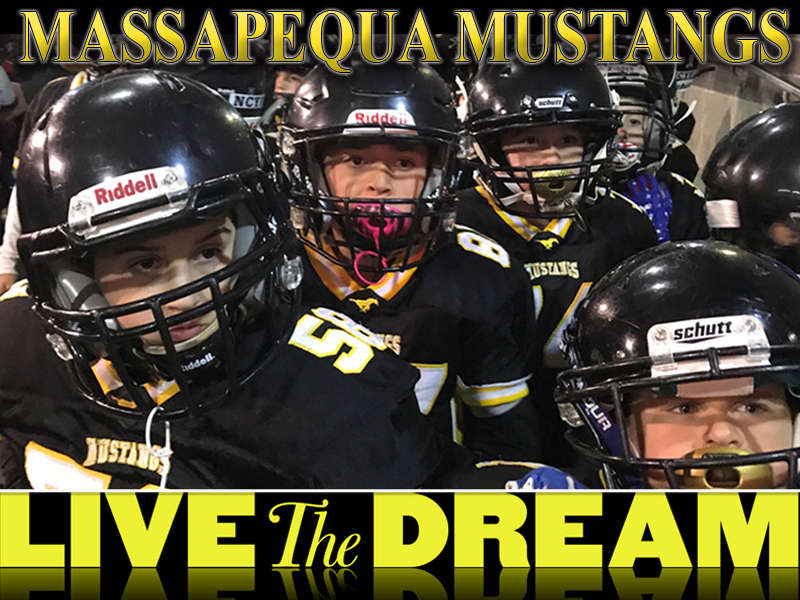 We our looking for all people who are willing to be dedicated and be part of our Mustangs Family, to ensure our kids and the organization continues to be the best youth sport organization in Massapequa for years to come. Saturday, June 16th (12pm - 3pm) @ the Mustangs Equipment Building in the south end of Burns Park. o	Travel evaluations (ages 8-13) will be held on Monday and Tuesday nights throughout July, starting July 9th. More details to come from each coach. o	Register by Saturday 6/16 for your child to be eligible for a chance to participate in an "on-field experience" at MetLife Stadium when the NY Jets take on the Houston Texans on Sunday December 15th. ~50 Mustangs players will participate in the pre-game tunnel run before the game!!! John "Bob" Stippell holding his Mustang Appreciation Plaque along with his son Gene. Bob was a Mustang coach in the 1970's and a Mustang referee in the 1980's. There's over 50 years of Mustang football between the two. REMINDER: You must be registered for the Fall Football season to participate in our FREE off-season training sessions. Additional dates/times for 7 year-olds and under will be added shortly. 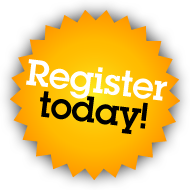 REGISTRATION NOW OPEN FOR FALL SEASON! IN-PERSON ONLY! Registration online is not available and is only available in person. 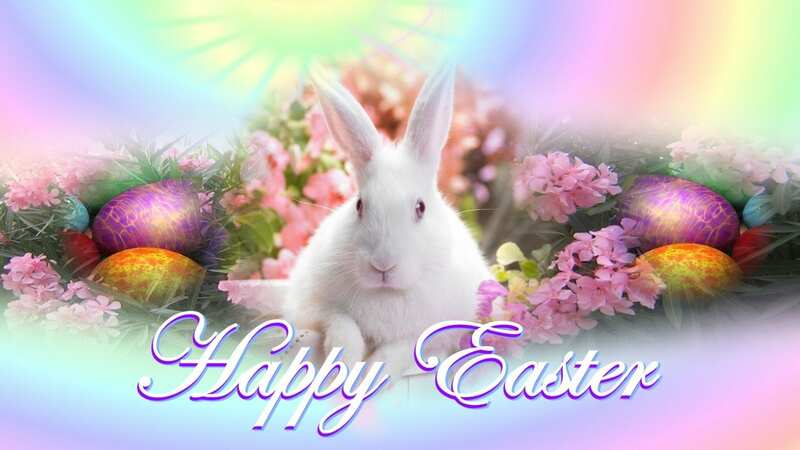 HAPPY EASTER FROM THE MUSTANG FAMILY! RESERVE NOW! ONLY A LIMITED SPOTS AVAILABLE. All sessions are limited to 15-20 participants. Players should wear sneakers (no cleats on the indoor turf), and bring a water bottle. All sessions will include speed, agility, strength and football fundamentals. Weds and Thursday evening sessions will also cover position specific drills and techniques. 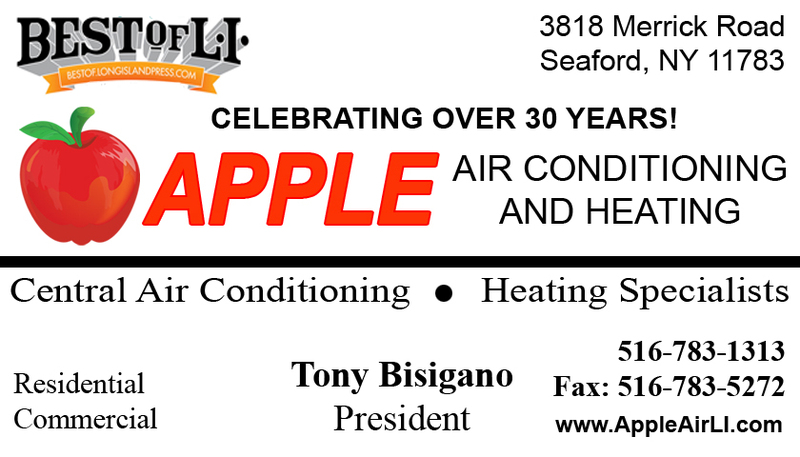 SPECIAL THANKS TO TONY AND HIS CREW! We are pleased to announce our free spring training sessions. The following sessions will begin on Saturday 3/10. All sessions are limited to 20 participants. Players should wear sneakers (no cleats on the indoor turf), and bring a water bottle. 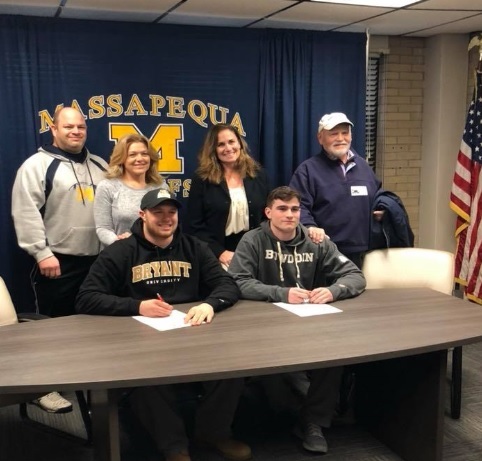 Congratulations to our first two former Massapequa Mustang commits for the Class of 2018! Connor Payne (Bryant University) and Brian Lenaghan (Bowdoin College). Good luck boys! SIGN UP NOW! PLAYERS NEEDED! Players of all ages needed. 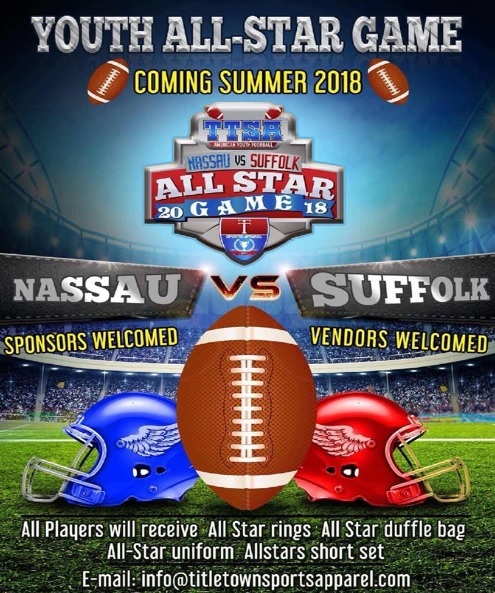 Come represent Nassau or Suffolk teams by contacting the email in the flyer. Congratulations to all who took home team and individual trophies! Words cannot express our gratitude for the outpouring of love, support and generosity we have received these past few weeks. 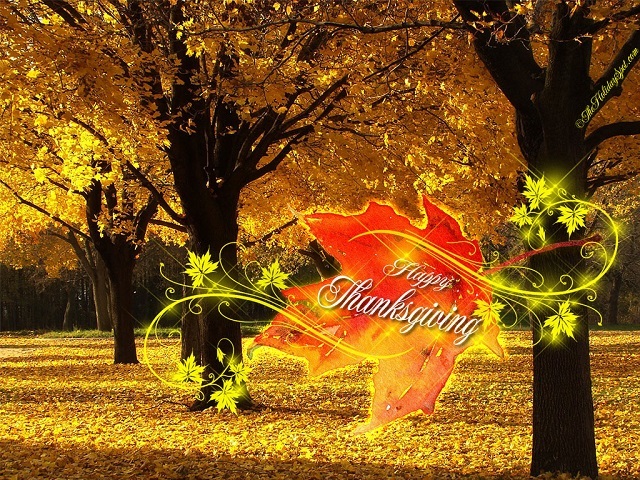 We are overwhelmed by your kindness and hope you know that we are so thankful to each and every one of you. Wherever we go we feel an invisible hug surrounding us, and we are strong because you are all holding us up. 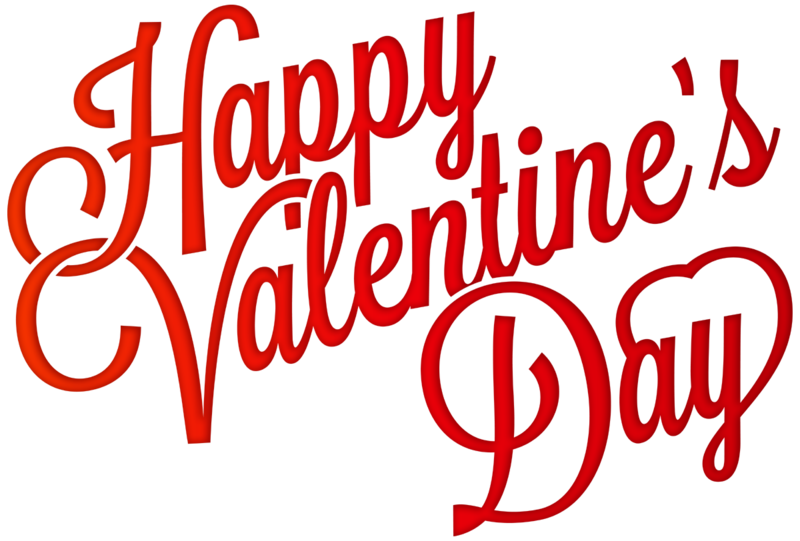 We will get through this difficult time because we always feel your heart warming support with us. We truly wish you all a very Happy and Healthy New Year. 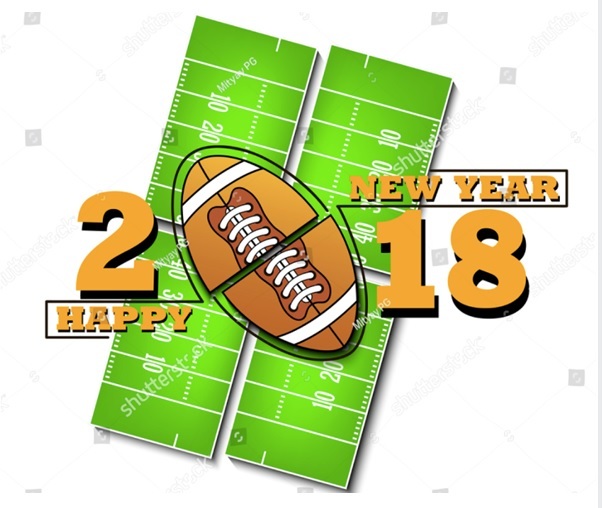 Happy 2018 to all Mustangs friends and families! We wanted to give you a heads up that we are considering offering a Spring Flag Football program (in partnership with one of the local leagues). Please stay tuned for more information on this. We plan to communicate more within the next week or so. Also, we will be setting up Winter and Spring indoor training sessions, as we did last year. We'll communication more details on these sessions over the next few weeks. 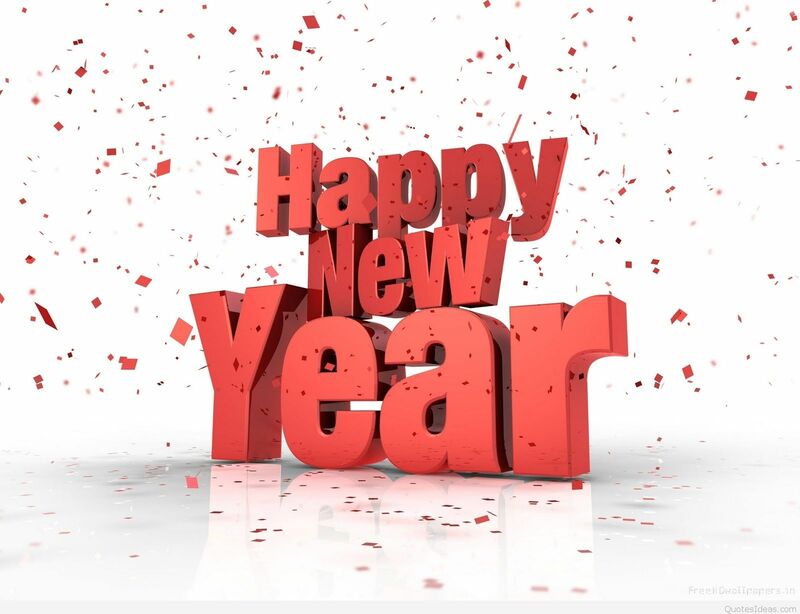 Wishing the entire Mustangs Family a Happy, Healthy, and Prosperous New Year!!!! Do You Believe in Santa? I Do! Sunday 02-04-2018 10:00 AM@ MEMORARE. Each player on the Town Division Champions (Regular season 1st place) & League Champions (Super Bowl Winner) will be presented with a trophy. 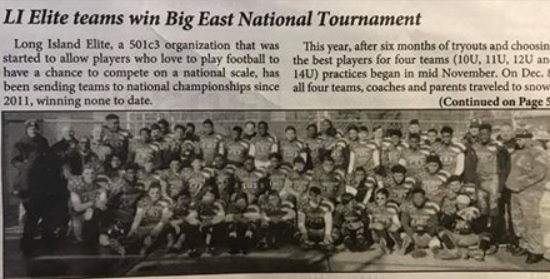 The Travel 11 team will be presented with their NYCFL Championship trophies. The Senior Travel team will present their Senior trophies, and Mustangs Alumni Awards will be given to High School graduating seniors. The cost is $35 per person (including players, parents, siblings, etc...). All coaches are free, as are children 4 years-old and under. If you are member of the above teams, please purchase your tickets via your coach or team mom. 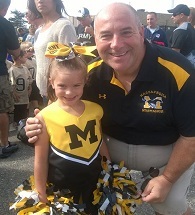 Checks should be made out to the Massapequa Mustangs. All other parents, players, friends and teams that would like to attend can email Pat Devlin (paddy1t@aol.com) to purchase tickets. All tickets must be purchased by Wednesday January 17th. 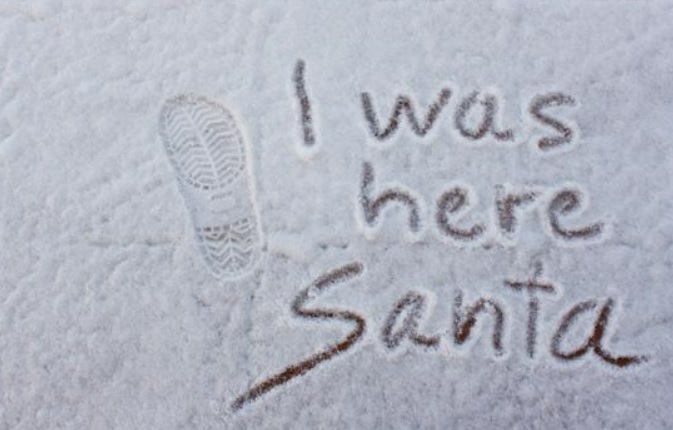 Santa ... 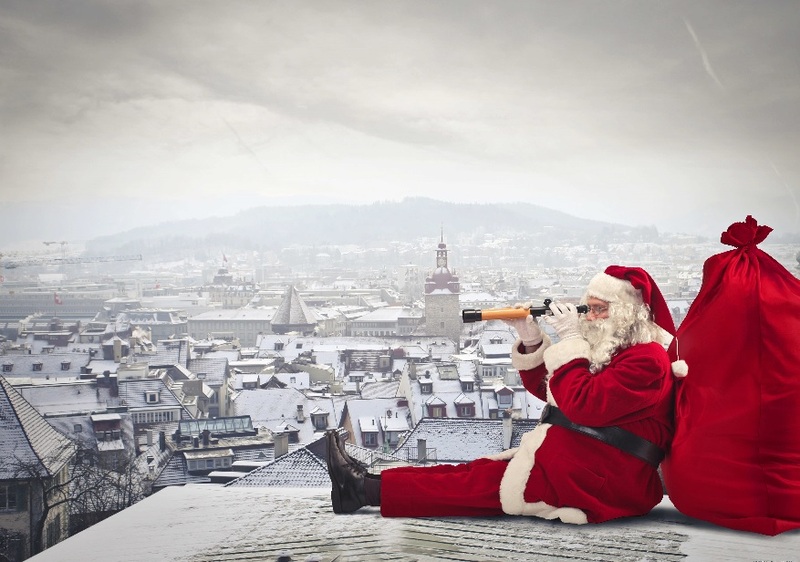 I think its time the elves made a GPS for you. 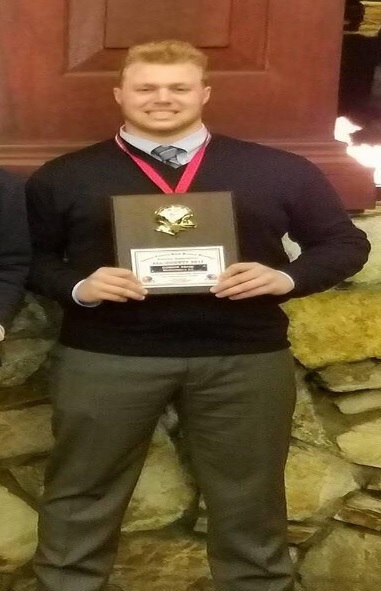 Congratulations to former Mustang Connor Payne on winning the Al Martone Memorial Outstanding Lineman Award, 2017 All Academic All Division Team and 2017 All County! We are pleased to announce the players that won prizes for selling the most raffle books in this years raffle program. Former Mustang Michael Rollo (99) leads the Long Island Elite Team to a victory in its Championship weekend. 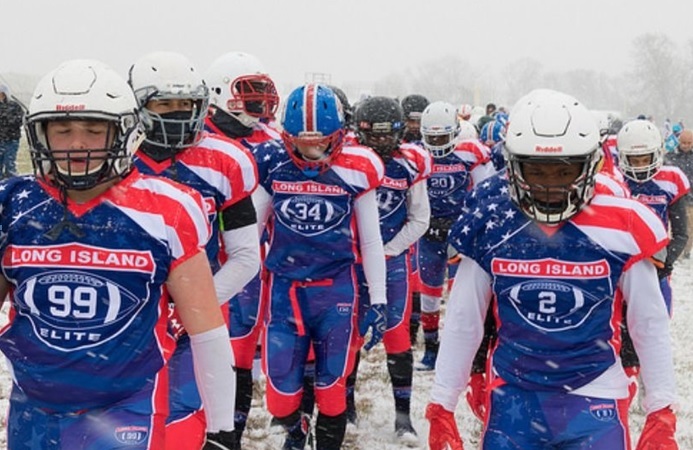 In a tournament held in Delaware this past weekend, the Long Island National Elite All-Star team went undefeated and unscored upon to win championship! Due to low enrollment, the Mustangs will not be fielding teams in the indoor winter league. 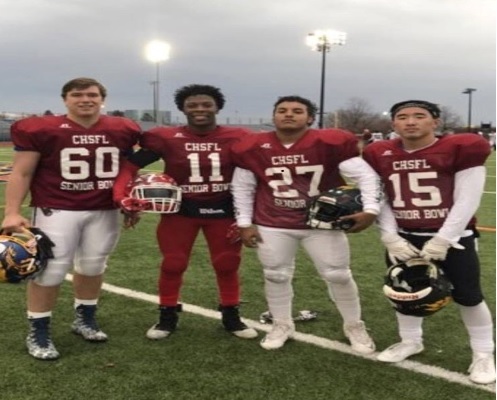 Congratulations to former Massapequa Mustang players who played in this past Sundayâ€™s Catholic League Senior Bowl! 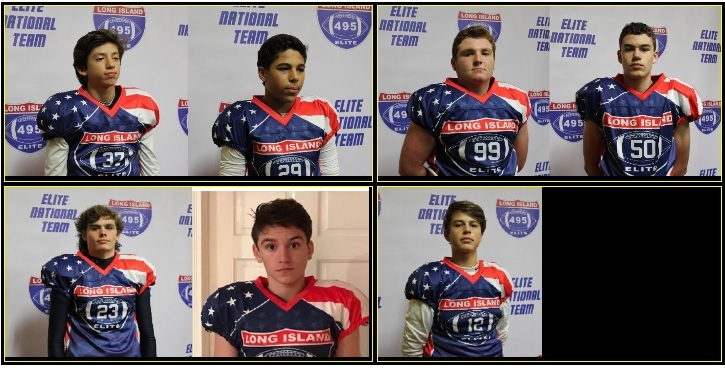 John Giller, Sean Gillespie, Keith Irving, Ryan Heinrich, Michael Rollo, Rino Monteforte, Jared Howes and Michael Dâ€™Alessandro will be traveling to Delaware this weekend to play in the Big East National Championship with the 2017 Long Island Elite 14U National Championship Team. 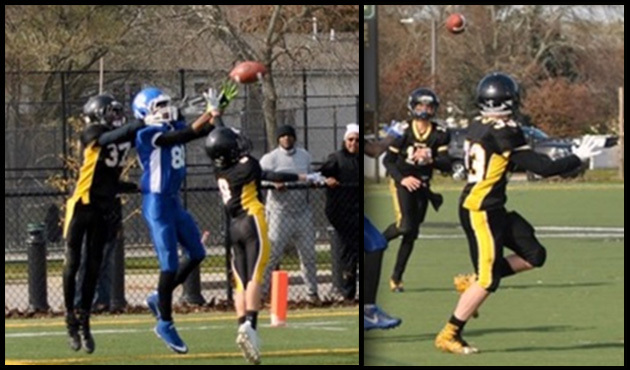 The Elite team consists of the best players throughout all of Long Island. Congratulations! 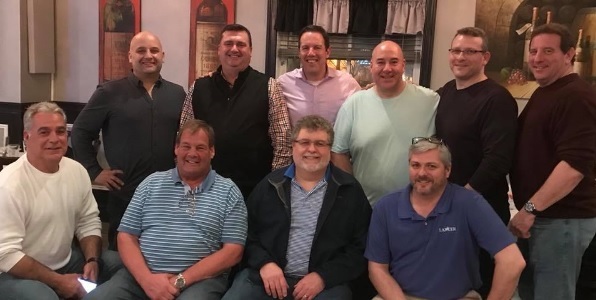 Helping coach the team are Mustang Coaches Bill Cardello (Sr Travel), Rocco Dionisio (Sr Travel) Gene Stippell (Sr Travel) John Wozniak (10 Travel) and Peter Scavone (11 Travel) . Good luck again and bring home a Championship! Our 8 Year old Travel team plays at half time of Jet game! 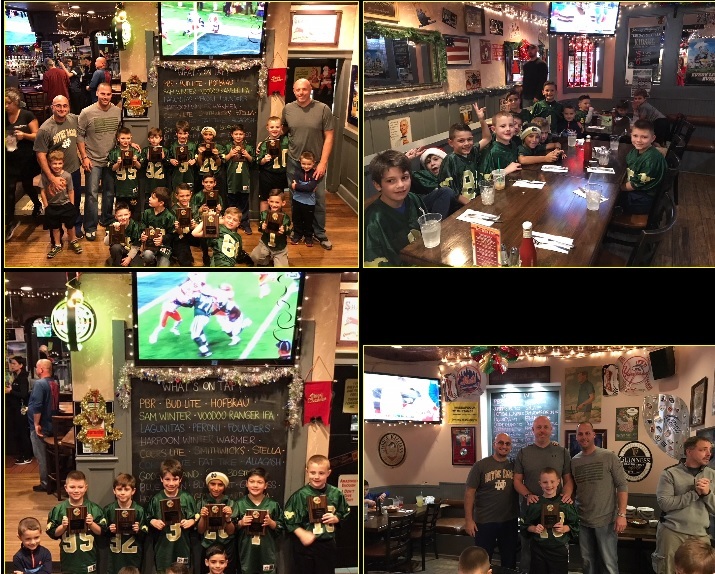 The 7/8 year old Super Bowl Champs celebrating at their team party. 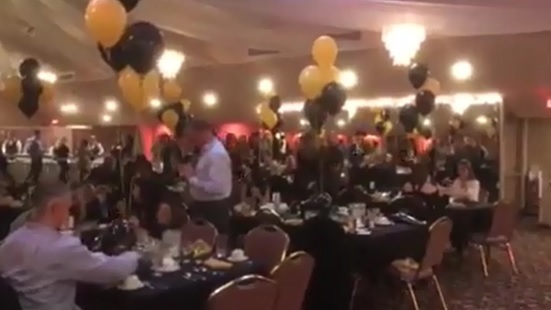 Thank you to all who attended our annual dinner dance. 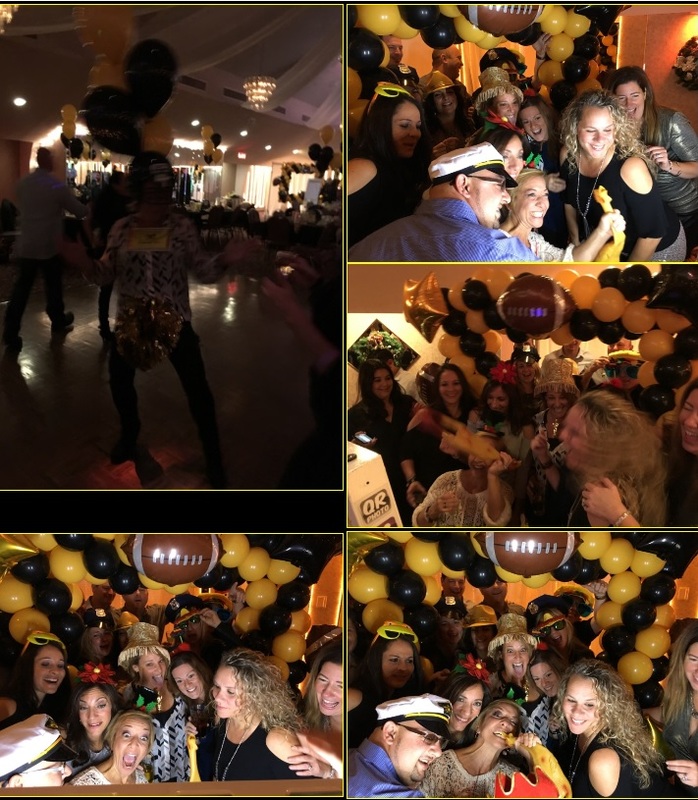 We are already looking forward to next year's dance! Sunday 11-26-2017. Coach Piatti will be in equipment building Monday (11/27) from 7pm to 9pm for raffle book returns. Every raffle book (sold or not) for every team and every coach has to be handed back. 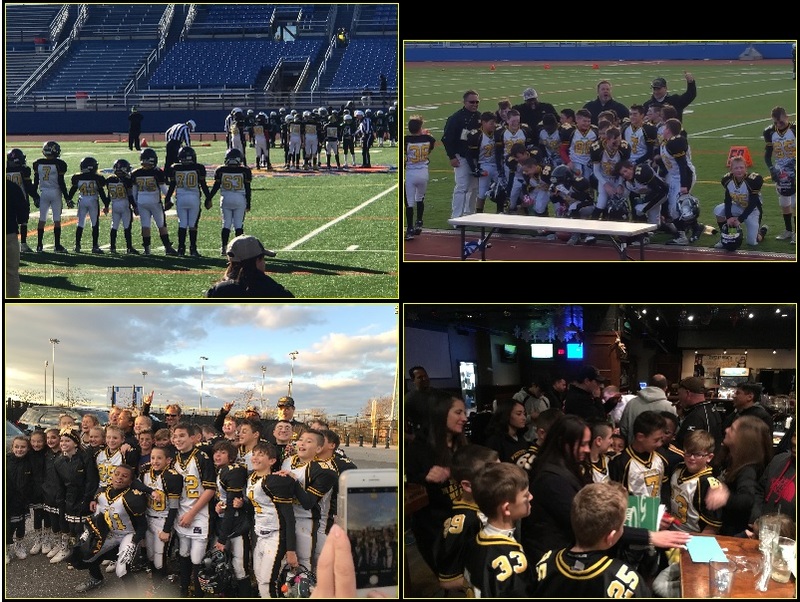 As we did last season, we plan on offering "Competitive" Indoor Winter Football for players age 8-13 (age as of 11/15/17). Online registration is now open. You can register now with no down payment, and will only be charged if we are able to field teams at your age level (based on interest and enrollment). Fee is $200. Once again, $50 discount for players that have their own helmets. 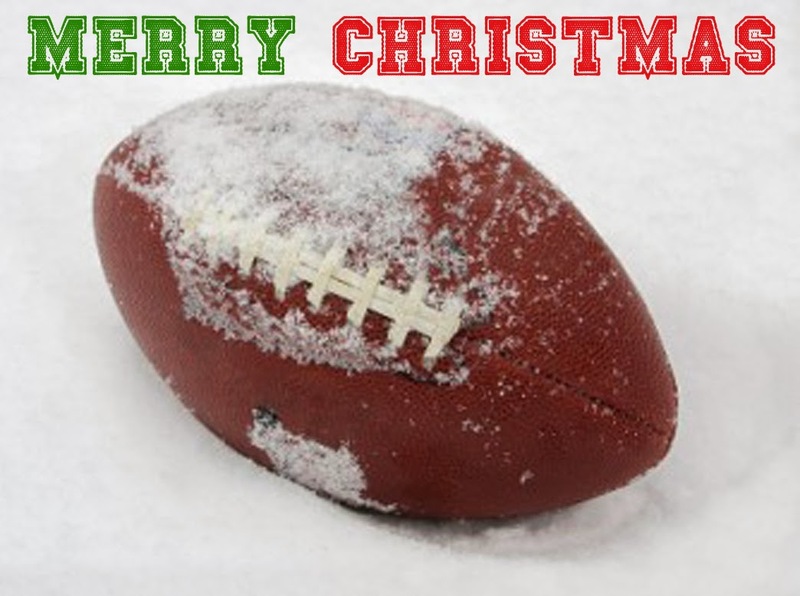 Best wishes to you and your loved ones from the Massapequa Mustangs. 11s NASSAU COUNTY YOUTH FOOTBALL LEAGUE CHAMPS! 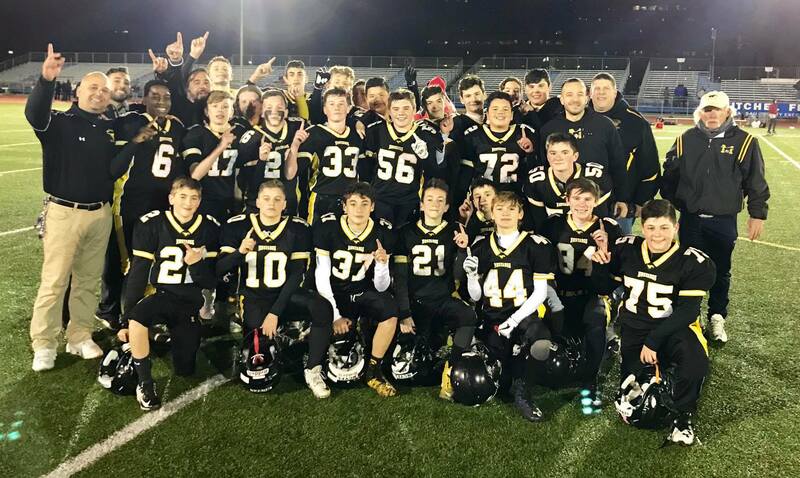 Mustangs defeat Farmingdale to capture NCYFL crown! MUSTANG 11s 20 Farmingdale Hawks 0. 11s DOMINATE IN 2ND HALF TO GRAB CHAMPIONSHIP! MUSTANG 10s 6 Garden City A 20. Tough GC defense and the Mustang defense gave up a couple of big plays made the difference. 7/8 YR OLD SUPER BOWL CHAMPS! CONRATS TO THE NOTRE DAME PLAYERS AND COACHES! Mustangs 12 year old Saturday morning training is cancelled today. Travel 10 - Seniors will attend camp form Thursday - Saturday. Travel 9 will come up on Saturday for a day trip. â€¢ Location Mustangs Equipment building located at the south end of Burns park. â€¢ What we'll do Weekly training sessions to cover conditioning, football fundamentals (stances, blocking and tackling). â€¢ What to bring Players should wear workout attire (shorts/sweats, and t-shirt). SNEAKERS only, no cleats on the indoor turf. BRING WATER. REMINDER - Mustangs 9's - Tonight's training session (Weds, April 10) is CANCELLED. We will continue with trainings sessions on April 17 & 24. Great message. Worth the 3 minutes to listen to it.